The Toppings You Love, The Crust You Trust! Order Catering for your business or special event Now!!! Stone Oven Pizza brings the traditional New York style pizza to Wichita Falls! 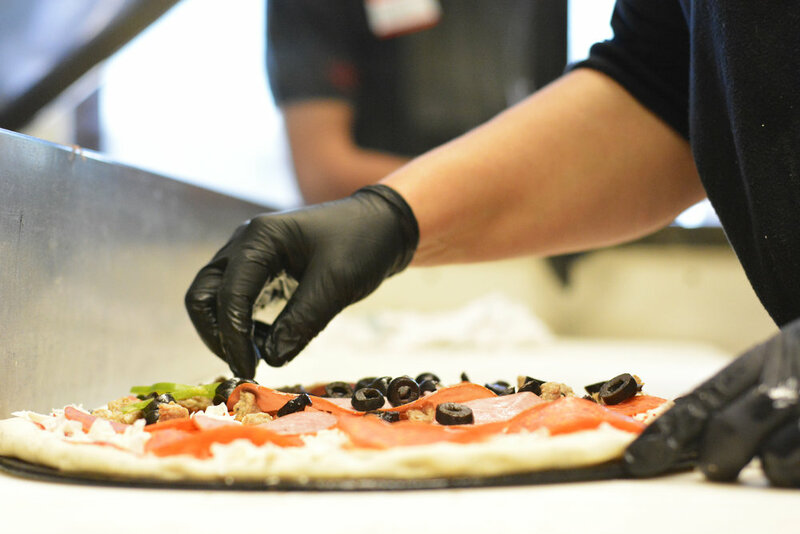 All our pizzas are made with handcrafted dough & gourmet toppings, and then cooked on a stone to give it that superior quality that you won’t find with the other guys. Buy it by the pie or buy it by the slice, you’re guaranteed to love our pizzas! Welcome to Stone Oven Pizza! We started Stone Oven because we have a passion for feeding people good food. Which is how we, in turn, feed our families. We love being a local business, and seeing you guys come in every week. Thanks to all of you we have grown our business and are forever grateful for our customers welcoming us into the community. We wake up every morning to our passion: perfecting our Artisan pizzas which start with made-from-scratch dough, homemade sauces and the freshest ingredients. We craft our pizzas by hand and bring them to life in a hot stone oven, giving them that authentic, crispy and irresistibly fragrant aroma we know you will love! Come experience a bit of Old World Italian tradition the Stone Oven way. You might discover that it’s your passion too!